Suiteble for 3d printing, electronics wiring, and thru PC card to connect to your computer. after printing the 3D part, the electronics parts can be purchet at any ekectronics ship or ebay. 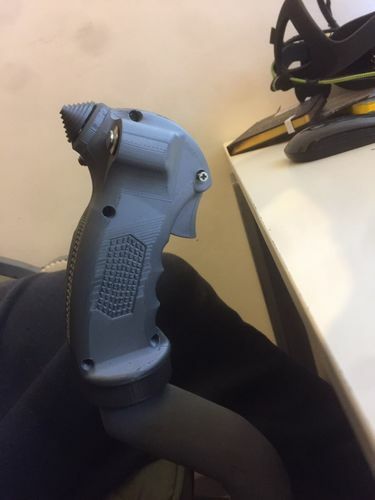 At the main part the STL part maned F14StickGripLeft-1.STL , you can insert M3 nut during printing. Awesome 3D model. The seller was very responsive and a nice person to deal with.